Developing a confidence in financial skills within your children is not be completed overnight. This concept of teaching kids to be good with money, so that they learn to be financially savvy is a work in progress through all of their childhood. With that being said, there are many ways we can work with kids to help enhance their money skills. To have some fun with kids while educating them on money matters, you can try a board game night. 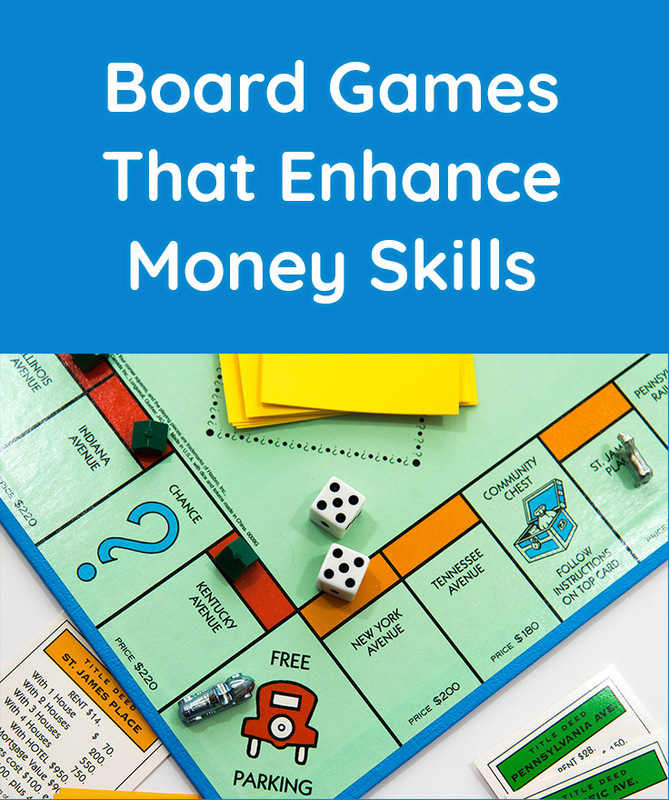 There many board games on the market that enhance money skills, here are just a few ideas for family board game night that will help enhance your kid’s money skills. This board game is probably the first game that comes to mind when you think about the topic of money and board games. Monopoly now comes in many editions to include a digital option where kids can enhance their credit money skills. Monopoly is the perfect family board game night option for parents looking to enhance their kid’s money skills. This brilliant game will teach more than just money skills, it helps develop an understanding of investing money as well. It’s important to teach your kids about all areas of being financially savvy which will include the following topics: savings, credit, interest, investing and spending. This game is a bit pricey so it’s surely something that you will want to make sure the family will truly play together. Talk about diving right into the real world, this board game is a longtime favorite of families all over. The Game of Life will teach your kids about work, college and pay bills back. This game goes further to enhance the comprehension of just how expensive life can get. With a fun, colorful board this game is surely a go-to for families with kids of all ages. Last on our list of board games that enhance money skills is Payday. This is not as popular as the games we referenced above but it truly fits within this list of board games. Players learn how to budget and manage their money on a monthly basis. This game includes unexpected expenses and much more to truly give your kids a deep comprehension of money management skills. There you have it, a few board games that will help to enhance your kid’s money skills. The neat part about using board games to teach kids about money is that they won’t feel as if they’re being bombarded with education, it will simply appear to be a great family bonding event. About the Author – Brandy Ellen Tanner is a Positive Lifestyle blogger who works from home while raising her 3 children. Learn more about Brandy at BrandyEllen.com and read her other parenting articles at ParentInfluence.com.